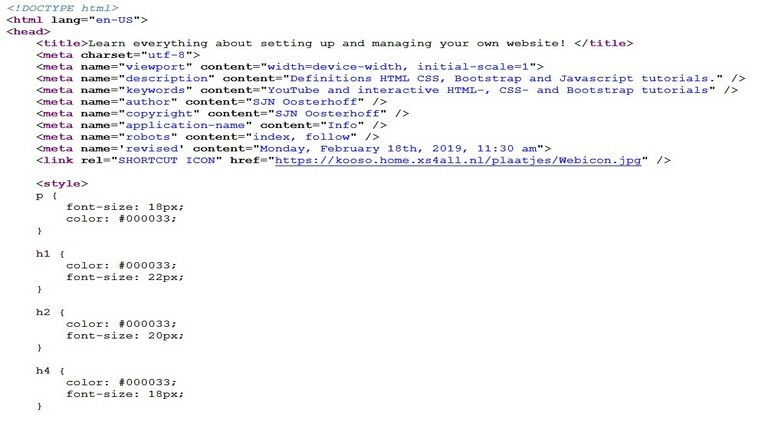 Learn everything about setting up and managing your own website! THIS SITE IS DESIGNED FOR INDIVIDUALS INTERESTED IN BUILDING WEBSITES FOR THEMSELVES WITHOUT SUPERVISION AND THE IMPOSITION OF ADVERTISING. Would you like to see images of Create a Website and Travelto? to pick up HTML methods and tricks. Copy the code and paste it in Notepad++. Use an URL below and paste your code in: "Validate by direct input"
Is a collection of code that defines what the users of web documents will view on web pages. Is code that adds color and shapes to HTML is a uniform, succinct, efficient manner. Build responsive, mobile-first projects on the web. Client-side scripting refers to scripts that run within your web browser. by manipulating the content returned from a web server. that works seamlessly across all the major browsers like Chrome, Firefox, Opera,Safari, IE, etc.